After Waterloo a prolonged period of peace began for The Household Cavalry. 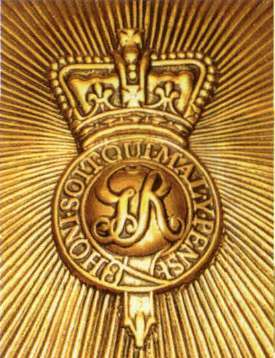 The Prince Regent, acknowledging their role at the battle, made himself Colonel-in Chief of the 1st and 2nd Life Guards and in 1820 promoted The Blues officially to The Household Cavalry. For the next 67 years The Household Cavalry was to see no action. Monarchs, especially George IV, set about 'beautifying' the regiments by introducing increasingly elaborate and impractical uniforms and confining them to royal guard duties in London. Their involvement in riot control also made them unpopular, and the glories of Waterloo were soon forgotten. Increasingly they seemed a mere ornamental extravagance. The Queen's Life Guard leaving Horse Guards, c.1840. 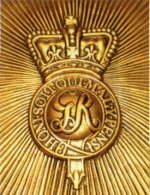 The Royals were first to deploy abroad when, in 1854, a combined Anglo-French army set off to the Crimea to support the Ottoman (Turkish) Empire in its war with the Russians. The most infamous engagement was the disastrous charge of the Light Brigade at Balaclava. Less well known was the successful charge of the Heavy Brigade in the same battle which, with The Royals at its heart, broke a 'black-looking mass' of 2,000 Russian cavalry after only eight minutes' fighting. 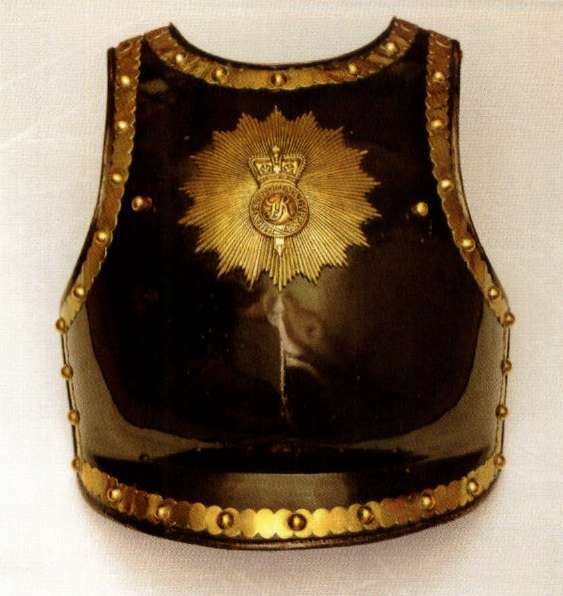 Cuirasses such as this were never worn by the Life Guards, even though, curiously, they had been required to buy them. 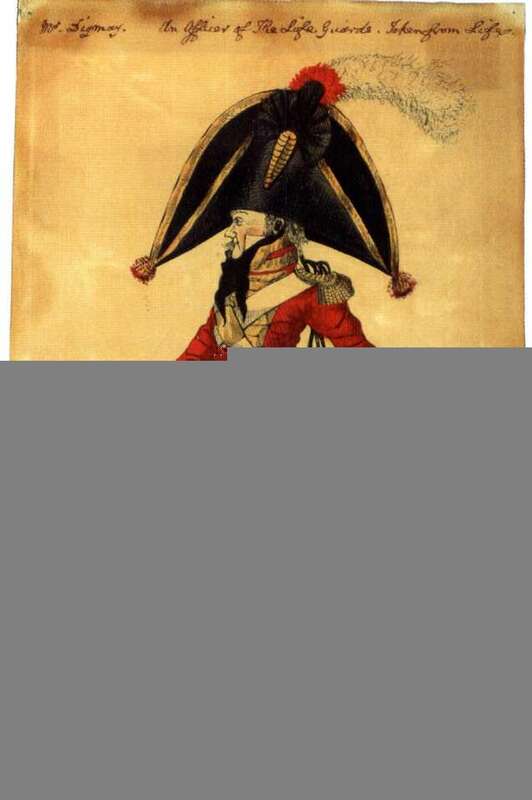 This caricature of an officer of the Life Guards in an absurdly large cocked hat dates from 1802. Barracks in the 19th centry. Today's barracks, largely en-suite single rooms, would be unrecognisable to nineteenth-century soldiers. Then, all barracks were very small; in Windsor nine soldiers slept, washed, ate, cleaned and stored their equipment in a room measuring around 28 ft x 16 ft (8.5 mx 5 m). They were allowed one roller towel a week between them; their bedding - straw stuffed into paillasses - was changed only every two months; and there was no running water, with only a single tub for washing. Lavatory paper, if issued, was one sheet per man every four days! The death rate was much too high. Life for families was equally disagreeable. The number of wives was restricted to six per troop. Married quarters, a curtained-off corner of a barrack room, allowed no privacy. The Blues were the first to allow families to live outside barracks, but low pay still meant poor lodgings. In 1864, Queen Victoria was so horrified with the married quarters that she ordered them rebuilt. 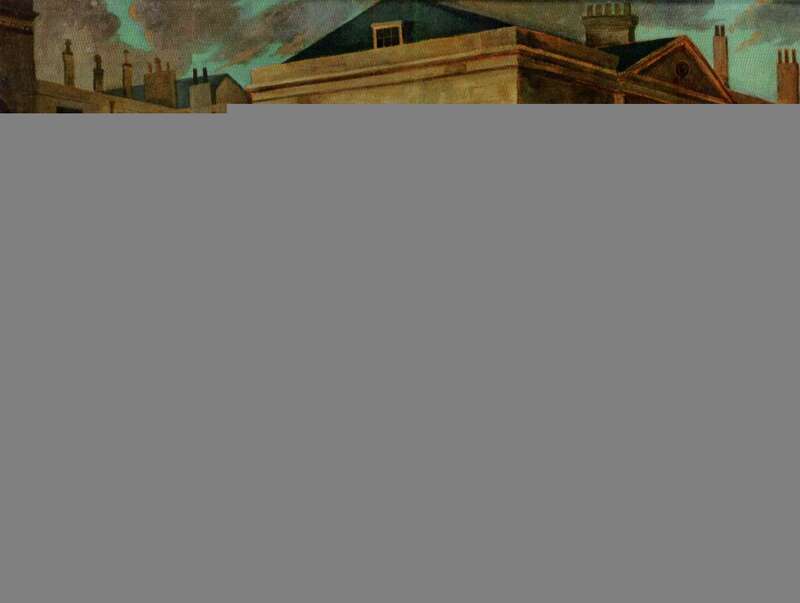 Regiments ran their own schools, and many boys followed their fathers into the army. Many wives and daughters also worked in the regiments, either as waitresses or laundry women.